Dawson Church, PhD, has edited or authored many books, and collaborated with leading authorities including Larry Dossey, Bernie Siegel, Christiane Northrup, and others. He founded Soul Medicine Institute to research and teach emerging psychological and medical techniques that can yield fast and radical cures. His award-winning book, The Genie in Your Genes, pioneers the field of Epigenetics, explaining the remarkable self-healing mechanisms now emerging at the juncture of emotion and gene expression. He has authored numerous scientific studies through the Foundation for Epigenetic Medicine, and is the editor of Energy Psychology, a peer-reviewed journal. He shares how to apply these breakthroughs to health and athletic performance at EFT Universe, one of the largest alternative medicine sites on the web. He did undergraduate and graduate work at Baylor University, and obtained his doctorate at Holos University under the supervision of Harvard-trained neurosurgeon Norm Shealey. Please note: Dawson does not see private clients at this time. I work with women who are poised to make a radical change in their careers without giving up the ability to support themselves. Using a combination of EFT / Matrix Reimprinting / TAT, I help you get unstuck so you can create the life you want. Also certified Meta-Health Practitioner. Sessions in person or via phone or Skype. I specialize in helping Women age 50+ make their second 50 years luminous. Transitioning relationships and changing self-image at this point, can be discouraging OR they can become our Biggest Asset. I help you heal challenging relationships and self-image so that you can step out into the world from a deeper wiser place. 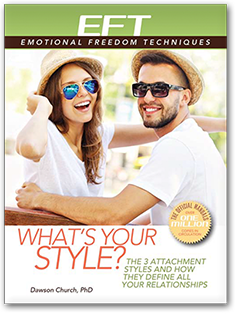 My TIB -Tap into the Blueprint- system combines the essential truths of Authentic Kabbalah to reframe perceptions with EFT, matrix reimprinting, NLP and the latest brain research, to shift old patterns. The time to step into your magnificence is Now. I invite you to a complimentary consultation. Helping athletes of all ages is my passion and specialty. Having been an athlete playing D-1 baseball at Brown University, I understand the stress that athletes of all ages must address in order to perform at the highest levels and enjoy the game they love. For the past five years I have been helping athletes overcome emotional blocks so they may play towards their full potential. Presently I work at a high-level sports performance training facility, Dynamic Sport Performance, where clients may be as young as elementary school age all the way up to college and beyond. 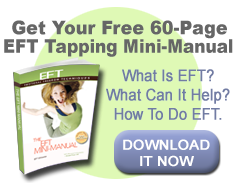 All ages can benefit from EFT! I love what I do and keep my clients' best interests number one. I am married with two teenagers that play basketball, soccer, and run track. Feel free to contact me for a free initial consultation. 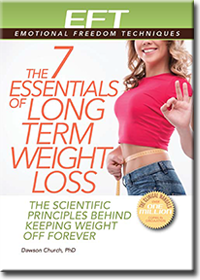 Are you interested in losing weight without all the hard work, dieting, and struggle that you have gone through in the past? Learning how to be thin naturally, is not about starvation and willpower and it is not about fighting yourself to workout. It is about letting go of the reasons that you need the weight. This is where I come in. I show you how to become the vibrant, confident person you are meant to be, and help you become thin at the same time. Although I specialize in weight loss, I work with a wide variety of topics including relationships, sports performance, pain management, fears and phobias, addictions, traumas, spiritual issues, and limiting beliefs. Nothing brings me more joy than to see the results of my work with others; to see them living happier, healthier, and more joyful lives because of the work that we have done together. Sessions available via Skype (or other digital media) or in person. Activate Your Money Mojo today! Are you curious about where your Money Mojo stands? I help spiritual entrepreneurs, running heart-centered businesses, to Magnetize their Money Mojo so they can do what they love, and earn more money! Contact me for a free Activate Your Money Mojo session. This is a 30 minute conversation during which we will determine where you want to be, and uncover the main money story getting in your way. Then we will strategize on best options to reach your goal, and finally create an action plan to move you forward. It’s a powerful and effective way to get started on changing your money story. A limited number of times are available, so get your free session now by submitting your information on the contact form here: LindaJWells.com/apply-activate-your-money-mojo and I will contact you to schedule a time convenient for both of us. I have had a private Massage Therapy practice since 1990. I became an EFT coach so I could finally get to the real source of my client's pain. I work with people who have chronic pain get to the source and get rid of it for good. Along the way we'll address the trauma of the diagnosis, the grief of a life changing diagnosis: yours or a loved one's. We'll clear the subconscious underpinnings holding the pain in place. We'll build a new, freer, happier relationship between you and your body and any remaining pain. We'll put that pain back in it's proper place or perhaps eliminate it all together. We'll establish the habits you need to transform your life into one of more happiness and vibrancy.